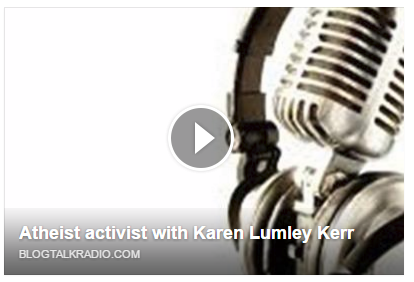 The Friendly Atheist Podcast with one of our own! 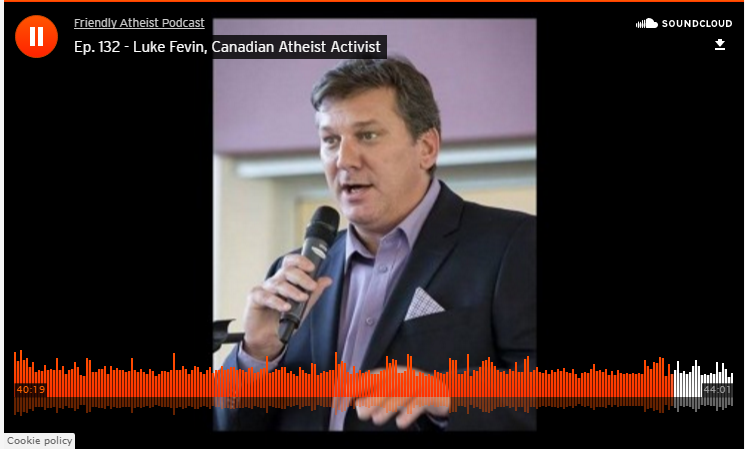 Check out board member Luke Fevin chatting with The Friendly Atheist about all the issues Albertan’s face in our school system (click on the picture to open the link). Dying With Dignity Edmonton are hosting an event of interest to many of our members, with discussions surrounding the new legislation and how there is still work to be done. Join us there! An informative discussion on the implementation, challenges and future implications of Canada’s new assisted dying law. Presentation and Q & A: 7 p.m. to 9 pm. RSVP (preferred) to Val at valwhitehead@shaw.ca 780-458-9208. Suggested donation of $10 at the door. Why would atheists march in the Pride Parade? Most of the reasons for being against equality are rooted in religious doctrine and dogmas. No Gods, No Dogmas, No Problems! Thanks to everyone that came out and marched with us today, helped at the booth, or stopped by the booth to say hello. We’d also like to send a big thank you to the Edmonton Pride Center and Pride Parade teams for all their organizing. Happy Pride everyone! The Society of Edmonton Atheists would like to make you aware that we do not agree with the provincial decision to allow an entire health care facility to speak on behalf of all it’s doctors and staff. The news from the province today is that Covenant Health will not have to follow the ruling of the Supreme Court. We understand and support an individual right to conscientious refusal, however when we allow an entire publicly funded organization that right, it is an overstep. Covenant Health own 90% of the palliative care beds in Edmonton and those patients are the most likely to ask for assisted death. You do not have a choice of which palliative care bed you are placed into, so this seems a rather cruel decision. Moving a patient in a fragile medical state is an insensitive suggestion, why not allow for the doctors and nurses that are willing to help come to them, regardless of where they are placed? We fully agree with Dying With Dignity’s statement and hope the wants of the entire Canadian population (not just the Catholic demographic) will be taken into consideration. Many of our members have followed the Dying with Dignity movement for awhile now, and all seemed victorious when last year the Supreme Court gave a 1 year notice of Physician Assisted Dying becoming legal. The legislation was meant to commence on February 6th this year, but our last federal government didn’t do enough to gather information from various groups in order to enact it in time, so when the new Liberal government took over they requested an extension. It was granted and the time frame extended to June 6th, 2016. As of June 6th, PAD will become legal, regardless of what legislation is in place. In Alberta we have a slight problem though. The vast majority of people who request PAD are already in palliative care, at the end of their lives. The majority of palliative care beds in Alberta are owned and run by the publicly funded Catholic Covenant Health group. The church has stated that Physician Assisted Dying is against their Catholic teachings and will not be provided at their hospital. Here’s the issue though…you don’t get to pick which bed you are given so you can’t request a non-catholic bed, you are just assigned. We want to be clear that, from a Catholic perspective, the intentional, willful act of killing oneself or another human being is morally wrong. Therefore, no Catholic may advocate for, or participate in any way, whether by act or omission, in the intentional killing of another human being either by assisted suicide or euthanasia. Just this past week a Calgary woman was granted an exemption to the June 6th date but she had to travel to Vancouver to finally end her life. This raises the issue of access to the right to die with dignity in Alberta. The College of Physicians and Surgeons of Alberta currently have two campaigns where you can leave your feedback and views on PAD. Help shape these policies! Informed Consent and Conscientious Objection are available to be filled out until March 7th. Dying with Dignity Canada have some recommendations in their toolkit to help you fill out these forms. Alberta Health is also looking for your feedback, you can fill out their form until March 31st. You can also write to your MLA and lend your support to the movement. The AB Secular Conference in Red Deer is happening this weekend. You can get late tickets (no meals) for the conference on Eventbrite until noon on Friday, October 16, or you can get tickets to the Saturday evening debate until midnight on Friday. The Society of Edmonton Atheists are pleased to sponsor Alberta’s first secular conference featuring some amazing guest speakers and inspiring presentations! Come join us in Red Deer the weekend of October 17th and 18th. Local guests include Kathy Dawson (AIM), Bradley Peters (Dying with Dignity), , Luke Fevin (APUPIL), Lynne Honey (Grant MacEwan Prof), Scott Rowed, and Greg Hart (Critical thinking skills) . BUY YOUR TICKETS NOW! Society of Edmonton Atheists members receive a discounted rate! The Society of Edmonton Atheists are pleased to sponsor the AB Secular Conference! The Alberta Secular Conference will be the first event of its kind in our province, and we are dedicated to creating a welcoming atmosphere for atheists, agnostics, freethinkers and skeptics while providing an educational weekend that will inspire and inform. The theme for this first conference is ‘’None Of The Above’’, and will deal with issues faced by anyone who doesn’t fit into a religious category in Alberta. We have some celebrated guest speakers flying in from around North America as well as local guests to speak about issues that affect us here in Alberta. Join us for this two day conference at Red Deer College, October 17th and 18th…the event is sure to inform, inspire and entertain! Guest speakers are listed on their website and tickets are available on eventbrite now! Please note there is a discounted rate for members of The Society of Edmonton Atheists (you will be required to show your membership card at registration). You can sign up to be a member of SEA on our membership tab or at any event where a board member is present. Recently the debate over the Lord’s Prayer in Taber schools has been heating up again, and a lady named Glenda was interviewed for the Lethbridge Herald. We would like to make it abundantly clear that the Society of Edmonton Atheists is neither pursuing legal action nor are we directly involved with the Dr Hammans equality group as the article leads readers to believe. While a great many of our members support the removal of religion from the school system in Alberta, this is not something that the SEA is directly advocating at present.